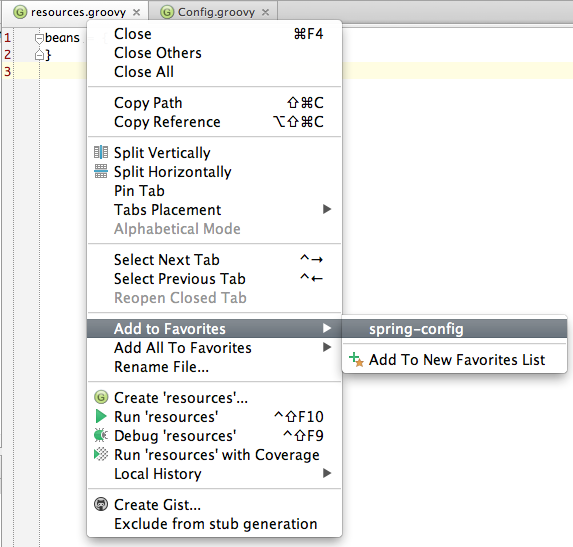 Working with code in IntelliJ IDEA is a real joy. To quickly access files we change often we can add those files to Favorites tool window. Once a file is placed in Favorites we can use the shortcut key Cmd + 2 (Alt + 2 for Windows/Linux) to open the tool window and select a file. 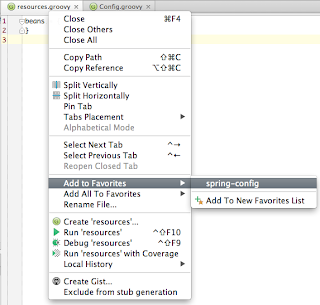 IntelliJ IDEA 12.0.4 is used for this blog post. Published at DZone with permission of Hubert Klein Ikkink , DZone MVB. See the original article here.